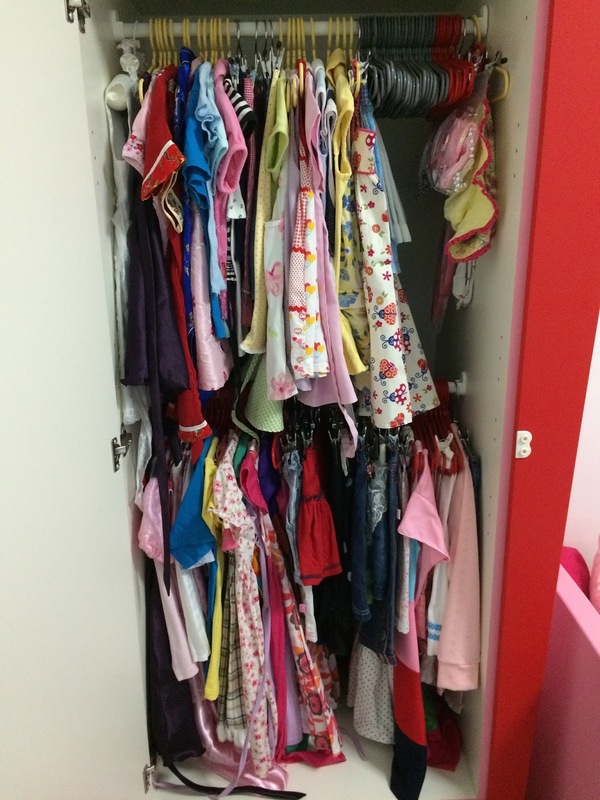 As the girls grow taller, they wear longer dresses. Their wardrobe used to be divided between the top and the bottom halves but the dresses are going way beyond the boundaries. In fact, I had to start folding the longest ones over their hangers. There were also many articles of clothing that were outgrown by Jaide or garments which neither of them desire to wear for whatever reason. I figured I have had enough and it was time for a revamp. 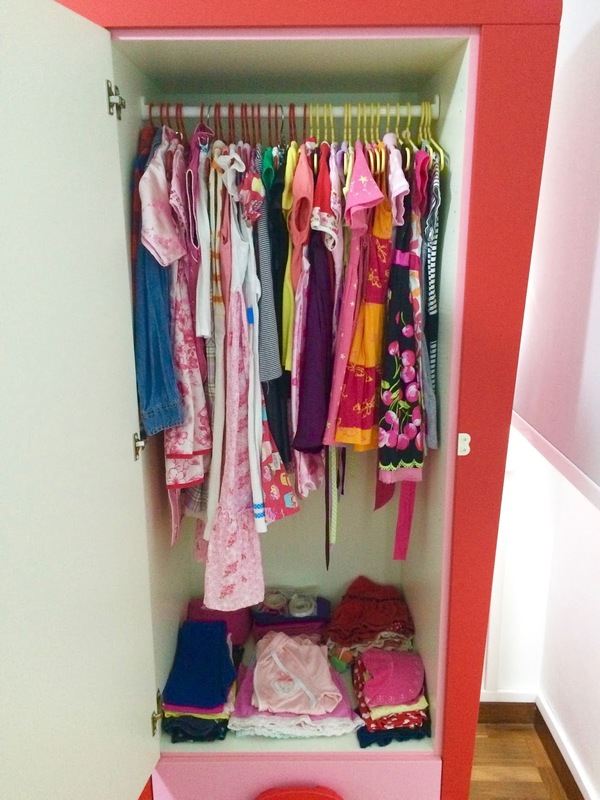 I decluttered the unwanted pieces, took out the middle bar and divided the wardrobe between left and right halves. I hung the dresses but folded the skirts, pants and other accessories to be placed at the bottom instead. Now, that's better! As I peruse many handiwork, I am struck by the epiphany of that one marvellously satisfying thought: How have my girls grown!